Home › Uncategorized › My Expanding PLN – Does Yours Need Help? My Expanding PLN – Does Yours Need Help? 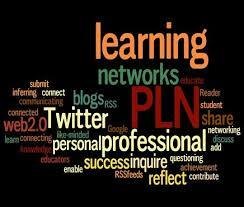 I had a PLN before the term came into use. We all did. Our Personal (Professional) Learning Network was composed of the colleagues we counted on to help us figure out a student, an approach, or sometimes an administrator. After being on the job for a while, I, like many of you, also became a source. On the whole, my PLN was limited to those in my school building and a few in my district. The first big expansion of my PLN occurred when I became involved with my state association. Now I could draw on a broader group of leaders for advice. I was luckier than most librarians since back in the 1970s and 1980s, I had a phone in my elementary school library (usually, you had to be a high school librarian to have a telephone). I realized I was no longer alone. Help was on the other side of the phone line. Becoming active in AASL broadened my PLN even further. While I was an early adapter of automating my school library (by this time I was at the high school), there were a significant number of librarians who had led the way. I drew on their advice when I wrote my RFP ensuring that it would likely go to the vendor I knew from their experience was the one I wanted. I ended up with an ongoing connection to Harry Chan, president of Media Flex who was behind Mandarin and now has OPALS. Today I still attending state and national conferences because there’s nothing like face to face connections, but added to that is social networking, texting, and emailing which has given me an incredibly rich PLN. Through listservs, TLChat on Google+, Twitter, and Facebook, I keep learning every day. Earlier this week I was on a TL Newsline, a Google Hangout with some of the newest additions to my PLN. What I love about a PLN is that it’s not just learning—it’s personal. The other day, I was working on the June/July issue of School Librarian’s Workshop and realized I needed another “professional development” article and reached out to Elissa Malespina, one of my new additions. In an amazingly short turn-around, she sent the article. It’s all about how we help each other out. It’s always been that way. Is your PLN expanding? . How are you using it? And remember – if you need support for your PLN, check out our Facebook page – it’s a great place to start! ‹ Lifelong Learning in the Digital Age – What about us?